Kabobs are my kind of barbecue dish — quick to cook and virtually fool proof, especially for chicken. I have too many childhood memories of community chicken barbecues where I was served chicken legs that were black and crispy on the outside and still raw in the middle. They looked so good on the outside but you just couldn’t eat them. I don’t want to stress over my chicken and I don’t want to be poking it to pieces during grilling to see if it’s cooked. No, chicken kabobs are the way to go, especially these chicken kabobs with sweet molasses barbecue sauce. With this recipe you get that chicken barbecue feeling, complete with a slathering of old fashioned tasting barbecue sauce, and you get meat that’s cooked just right. 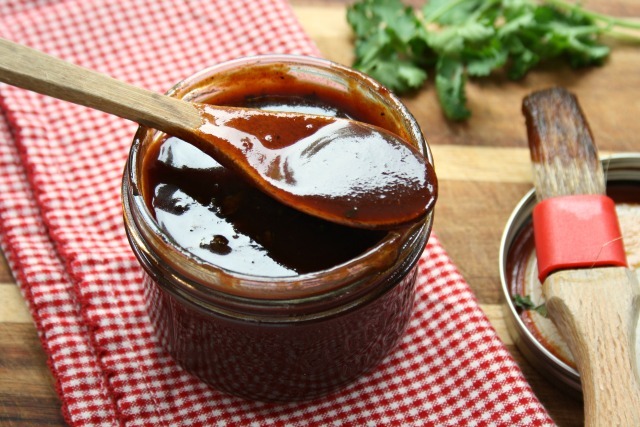 This simple barbecue sauce is no-cook – you just mix up the ingredients and set the meat to marinate. Feel free to adjust the ingredient quantities if you’d like more spice, or add a dash of hot sauce, or may be a bit more smoked paprika, or some minced onion…. Kabobs are a great dish for entertaining too because there is no slicing or carving involved. Single servings on a stick and grab two if you’re hungry. This finger-food versatility of kabobs makes them ideal for summer. Whisk together all sauce ingredients in a large bowl. Remove half of sauce to a jar and add chicken to the bowl. 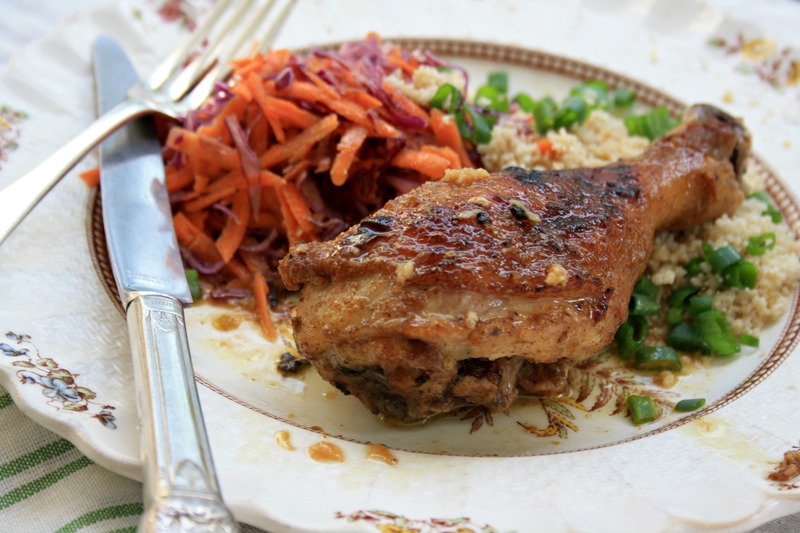 Cover and place chicken in fridge to marinate for two hours to overnight. Preheat grill to medium or preheat oven broiler. Drizzle with additional sauce and sprinkle with cilantro before serving. 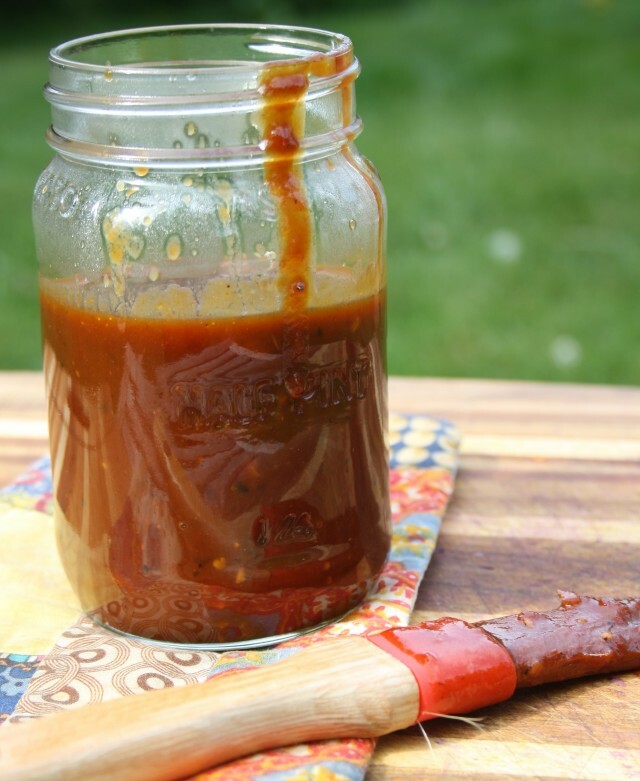 Sweet Molasses Barbecue Sauce Molasses lime grilled chicken and how to become an “oven” barbecue queen Sweet Chili Barbecue Sauce Beer barbecue sauce – let summer begin! Sounds delicious! Can’t wait to try these kabobs! Thanks, H.
Hi Helen, Enjoy! The recipe works with pork too. I love any recipe that includes molasses, I guess you could say it a comfort food for me….thanks for posting. Hi Marguerite, I love that you consider molasses recipes comfort food. Me too. Can you use white vinegar instead of cider? Looks amazing! Hi Lorie, You can use any type of vinegar. I’m just partial to cider vinegar. Enjoy! You got some great recipes.  Will try the Sweet molasses barbeque sauce with chicken this weekend. I love molasses on my toast as a evening snack. 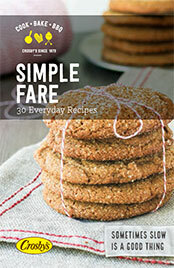 Love copy of printed cookbook! Hi Jane, if you forward your mailing address to Kelsey.reid@crosbys.com we would gladly put one in the mail for you.